How to Make Machinery Vibration-Safe. 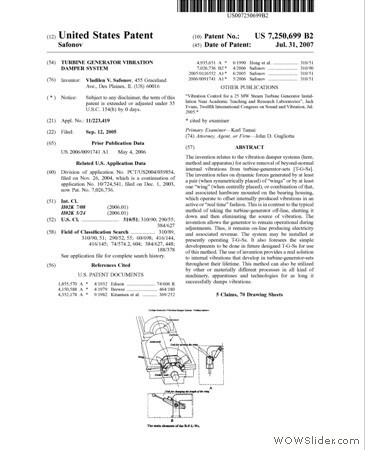 Click on the image for free download of the patent information. Click on the image to view the details. US Patent No. : 7,250,699. Read and download. Click on this link. US Patent No. : 7,026,736. Read and download. Click on this link. 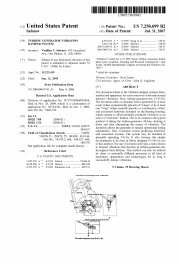 You can download Patent Licensing Agreement Form here. Click on this link. US Patent No. : 7,250,699. 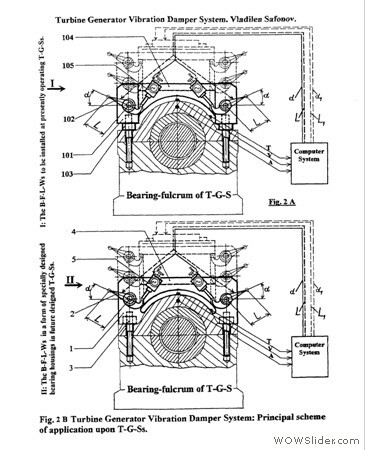 Turbine Generator Vibration Damper System. (Method). 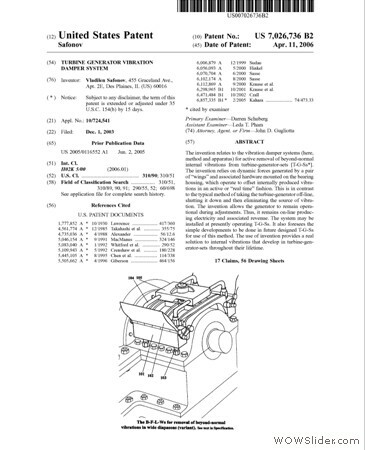 US Patent No. : 7,026,736. 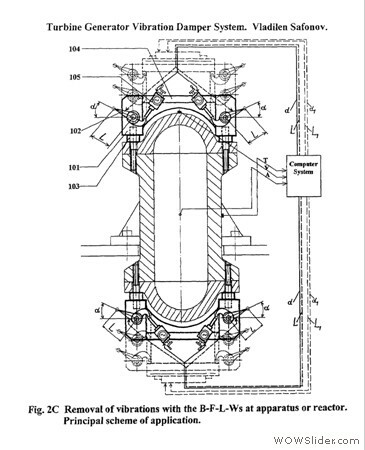 Turbine Generator Vibration Damper System. (Apparatus). A vibrating body, the unwanted vibration's damping of which is desired, creates the self-antivibration inside the specified body, the B-F-L-Ws*, that must be attached to it. This antivibration transfers back into vibrating body and damps originating vibration. 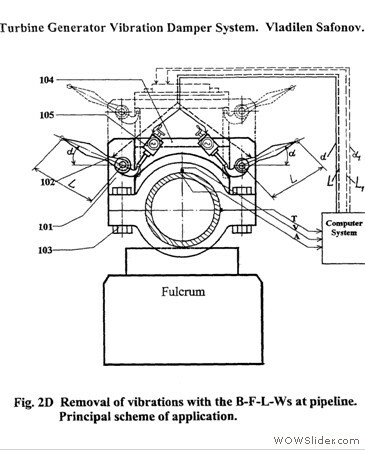 The antivibration bodies, the B-W-L-Ws, are specified. The places of attachment and the ways of attachment/mounting are specified. 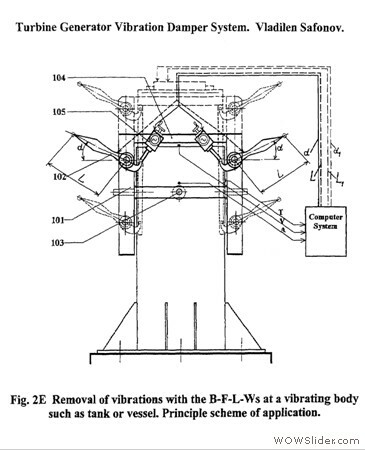 The shape/construction of the antivibration bodies are specified. No stop of operating machinery is required to conduct vibration damping. 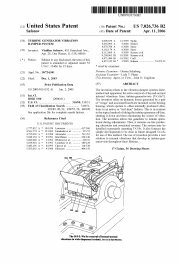 On-line vibration damping, the production of electricity/associated revenue thusly continues within process of vibration damping for turbine generator sets and other machinery. Easy, as 1-2-3, installation of the B-F-L-Ws at operating machinery, or in advance. 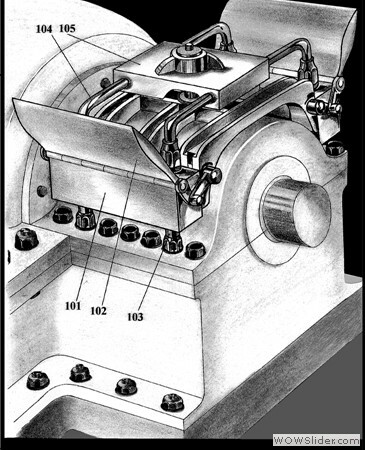 Simple changes to be made in the future designed machinery, where the B-F-L-Ws are integral parts of the body of machinery, to damp vibrations on-line in active or "real time" fashion. 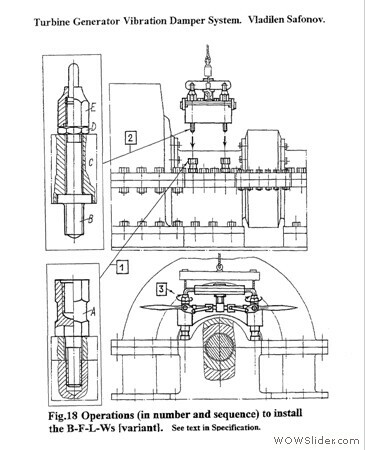 Following scaningly any change of vibration situation upon the machinery, with damping any slight increase of vibration, keeping a complete vibration upon machinery permanently normal, that will make such machinery - with minimized shutdown period and minimized operating vibration - both more efficient and safe for customers. Vibration Monitoring. Click on imiges. Courtesy of Navcon Engineering Network. Click on image. Courtesy of Emerson. Click on image. Vibration Monitoring & Control: Train, Gas & Oil. Courtesy of COLIBRYS. Click on image. Steam, Gas Turbines. Generators and Compressors. Courtesy of www.icsworldwide.com. Monitoring & Control. Click on image. 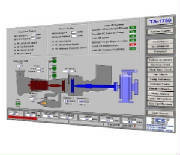 Complete Turbine Monitoring & Control. Courtesy of Honeywell.com. Click on image. Wind Turbines Monitoring & Control. Courtesy of www.deifwindpower.com. Click on image. Courtesy of Wikipedia.org. Wind turbines. Click on image. Courtesy of ACCIONA. Wind Power. Click on image. Courtesy of Siemens. Wind Turbine. Click on image. SKYSTREAM. Wind turbines, Click on image. View International Publications of the Inventor. Copyright©Vladilen V. Safonov, 2007-2017, USA. All rights reserved. reference to Vladilen V. Safonov is a must. Contact Patent, Trademark and Copyright Attorney.